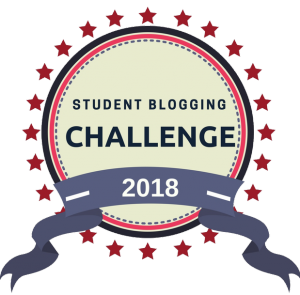 This week’s challenge – We have 5 words for you to include in your writing. They can be in any order but must ALL be there! Hello my name is Lizabeth and I have a crazy story to tell you, well here we go. There is a yellow-haired, shiny teeth, and tiny bodied girl. She lives in house in Sedona, Arizona. She’s my dearest friend. My parents were rich, until one day they got a sickness called the flu and died the same day. So they gave me their money which was $800,000 so I came up with a crazy plan. My friend, Isabella worked at a diner. Her job there was a waitress and not many customers came since it was a very small diner. Since not much customers came, the diner wasn’t getting much money so each person got $5 a day. And since they didn’t get much money Isabella couldn’t afford a big house and barely any food. And so I….. So, I just got a crazy note. With a load of MONEY!! Jeez I wonder what L stands for. Wait my friend that past late last week in a horrible accident. I always had a secret key under a fake rock. I always thought she would return, but that never happened. That day, that one day she died it felt like the sky was falling. I was so, sad I couldn’t even look at her home. But the L. So, many names Laura, Lisaonje, Leon, Lexia. My friends name was Lizabeth which also started with a L so I became interested in her fatal accident. I wonder if there ever was an accident, what if she never died…. I went to her house and I got the extra key under a fake rock and went inside her house. I wrote a note saying, ”Spend this on your needs don’t go crazy with it and if you ever need to go to the corner store. From L…” That money was $20,000. I put a camera looking at a kitchen counter and I went back to my house to set up the monitor and when she got home I saw here reaction she, she was so happy she forgot about me until the L, the L messed it all she just started crying, crying in a corner sad about my fake death. One day I will reveal the truth. Today Me and Ethan are having another date at the movies. We’re watching Moana. When I get there he is nowhere to be seen. So, I wait another 30 minutes. Again he is nowhere to be seen. I start thinking he’s scamming me. Next, thing I know I get a call from Ethan,”Hey, I’m so sorry I couldn’t get there my mom just past and I’m at the hospital she had cancer. But, maybe next week we’ll go out to the movies again I’m so sorry I couldn’t make it.” Wow, well I feel so bad for him. I’ll watch a movie without him I guess(after the movie). I get a call from the police. It’s about…. As I get home I see police cars and I hear police sirens.” I wonder why they’re here.” I say. When I get there I ask,” What happened? Is everything OK? OMG IS THERE A DEAD BODY! ?” As I get done asking questions I see one of Ethan’s friends in a police car handcuffed. Then I think is Ethan involved with it. After the investigation I set up a few cameras, so next time I’ll know who did it. But, before all of that when I got there I heard a familiar voice like Lizabeth’s. Then, her clothes on the broken window. After, that I’m now wondering if Lizabeth is really alive…. So, when I come home from work there’s another note, with just $1,000. By now I’ve figured the person is rich. Lizabeth’s parents were rich and the letter now is ”From Liz.” So, I’m pretty sure she’s not dead. Also, the clothes on the shattered window, but anyone can have those clothes. “Man, I wish I knew who the L was.” When all this happened I….. should just move on from this. But, there’s so much I need to know. Lizabeth’s nickname was Liz and this note has Liz on it. So, so, so much I need to know…. I find out that Ethan is the mailman and this is the perfect time to go to Isabella’s too because she is at work! This day is working out perfectly. Until, I found out Isabella moved the extra key so nobody can find it. “I guess I have to leave it on the doorstep and hope it won’t get stolen.” (Later that day) I look at the monitor and I see that Isabella’s home with a surprised look. I heard her say, “Man, I wish I knew who the L was.” But I also heard her say this before that, “But, I’m pretty sure she’s not dead.” I will go to her work before she leaves and I…….. I didn’t get enough sleep last night. Gol-eee I really hate Mondays. I have to go to work and be mocked by little kids that throw around all their food!! As I get there, there is a lot more people than usual. When I step inside there’s a cake. I wonder whose birthday it is today. My boss hops right in front of me saying,” Isabella I’m sorry to say this, but It’s no one’s birthday and it afraids me that I have to fire you.” I say,” Why me though there’s so many other workers that don’t to do anything except eat.” He says,” You don’t cook anything the right way.” I say,” Why…” He interrupts and says,” I’m firing you and that’s final.” I walk outside to get a breath from that and I see a black Chevrolet with a familiar face inside of it. I walk closer and closer and see it’s…. I will give her $500 dollars with a note saying, “Meet me at your job at 5:30 P.M.” From Liza. So I decide to walk to her house to give her the money. (Later that day) I’m driving in and I don’t see her there, “Maybe she isn’t here yet.” I say so I decide to wait till 6:00 P.M. to see if she is going to come. But then I look in the front door and see Isabella arguing with her boss and I hear her boss say, “I’m firing you and that’s final.” As soon he stops talking Isabella walks outside. So, before she gets out I go in my truck and there is barely any twilight left and she just stares at me. Now she is just walking closer and closer and closer until…..
Why Is Being Kind Important? This week in writing we shared 25 ways to be kind, and why is being kind important? Here are our thoughts. We hope you are inspired to spread kindness! It’s important to be kind because you can make people happy or maybe make a new friend to play with. Kindness can help other people want to help. For example, my mom helped the teacher print papers. Then, the teacher will help look for the principal’s favorite pen. Then, it goes on and on. Being kind can make the world change. You can be kind by holding the door for someone that is old or young. Have you ever wondered why it is important to be kind? Well, I have some reasons for you. My first reason is it is important to be kind because you can make someone’s day. You can do this by holding open a door for someone or by saying nice things to someone. My second reason is kindness can spread fast. Say you’re walking with your friends and someone falls and you help them up. Then, they might do something kind and it would go on and on. My third and final reason why kindness is important is being kind to someone can change the world one tiny bit. If you see someone feeling down, you can go up to them and be kind, and you’ve changed that person’s world. Have you ever wondered, “Why is it important to be kind and not rude?” Well, here are some reasons why. It is important to be kind because kind is something everyone can be. My first reason why kindness is important is that being kind can make someone’s day turn around. My second reason is that kindness could make someone think differently on how to be kind. My third and final reason why kindness is important is because being kind to someone can make them be kind and kindness will spread around the world. Kindness is something everyone needs, anytime and anywhere. Being kind is important because if none of us were kind to each other, there would be no friends and everyone would stay mad for a long time. The war would keep on going to war after war and longer until the day we pass away. That is why kindness is important to the world. It is important to be kind because it could change the whole world and make the world even more beautiful. We would all help each other. It is important because if you are kind to someone, they will be kind back. Also, being kind will make people happy. It is important to be kind because kind makes people feel nice, good, and happy. It is also important to be kind because if you are kind to others, they will be kind back to you and others. It is important to be kind because kindness can build more, and more people will be less angry, mean, and gloomy while spreading more happiness and joy. It can also help others in need. One more thing, kindness is important because people who are having a rough time and are struggling, it can help. I think it is important to be kind because it can help people with life and not to forgot to leave things. Kindness could help stop wars and fights. Schools would never have to have lock downs and no more guns. Kindness can make the world a better place. It is important to be kind because if you do something kind to someone, they might do it to you. I also think it is important to be kind because giving kindness to people is a good deed, and doing a good deed is kind. Another reason I think it is important to be kind makes the world a better place. It is also important because being kind makes people feel kind, nice, and things like that. Being kind is important because it makes people want to be kind to others. Finally the last reason why I think it’s important is to share, be kind, nice, and loving! I think kindness means a lot of things. I think it means be nice, do things for others so they will be kind to you, and you will get what you want. I can think of kind things to do. I am kind to my teacher, my friends, and my family. I think kindness is the number one thing you need to learn. If you are not kind, then you won’t have any friends when you are older. I love to be kind. It is my special personality! Why do you think kindness is important? Mistakes, Actually A Good Thing! Monday: We thought of 7 memorable mistakes we had experienced in our life. Tuesday: We chose two mistakes from our Monday list. Then, in detail, we wrote about what we had learned from making those mistakes. Wednesday: Did you know J.K. Rowling was rejected by 12 publishers before she published Harry Potter? That surprised us as well! We pretended we were a publisher rejecting her, and we had to write her a note. Thursday: We took a self-reflection survey rating different scenarios on a scale of 1 to 5. Then we researched people who had invented, by mistakes, things that we commonly use today. “The Great Mistake List” included potato chips, super glue, plastic, frisbees, velcro, and chocolate chip cookies! Here are a couple presentations to help you understand how mistakes are really a good thing! This week we Skyped with experts in the field of science to learn more about birds and polar bears! Here is what we learned. By: Connor, Torrin, Peyton, and Dominic. 1. Polar bears need sea ice so they can hunt seals. 2. They have sharp claws so they can grab the seal before they can run away. 3. They need flat sea ice. 4. Female polar bears sometimes have babies on the sea ice. 5. If we lose sea ice sea ice we could lose polar bears. 6. International polar bear day is on February 27th. These are the facts I have for polar bears. We did a polar bear Skype with the National Geographic. They were talking about polar bears how they survive and what they need. The polar bear has its own ecosystem. It showed that a polar bear needs ice to live. It showed that a polar bear favorite food is seal. Polar bears only live in the arctic. There is only 19 species of polar bears. Polar bears need sea ice to mate and to find food. Polar bears have weaker jaws than brown bears. Polar bears have different and special habitats like the habitat with sea ice in it. Did you know that there is a holiday for polar bears? The holiday is called “International Polar Bear Day” on February 27th. This week is our first attempt with the 100 Word Challenge! We are excited to share, and we hope you enjoy our stories. Using this picture, write a 100 word story to the prompt – What do you think this family is saying to each other? I think I heard a family say that they are going to rob a bank later that night. So I ran to the bank. I said that later they are going to be robbed. So the security stayed later that night to make sure they did not rob the bank. Later that night they found the robbers getting dropped off in a black truck with black windows so nobody could see them. So the security waited, and when they arrived they were caught and taken to jail. In jail the robbers said how did you know they said to police? Once upon a time I overheard my neighbor(s) and they said, “Well, our neighbors have a messy house and yard so we should complain about their house to the office, and then they won’t live here. HAHAHA!” So I went and told my family and they (and me) cleaned the house and yard. When the people from the office came to our house they checked it inside and out, and it was perfect. So they told them, “That it was perfect so within 24 hours they needed to move out because they told a huge lie.” And they stuttered, “wh-wh-whaaaaa? why? We didn’t tell a lie. It was true.” Then they packed and left and never came back. One day I was eating some lunch. Then I went to get more ketchup and heard some family talking about robbing a store. Then I started getting scared, so I looked around and looked back. Then I heard them talking about what they are going to rob. They said they are going to rob ketchup, mustard, jello, and popcorn. I was super scared now so I called my friend Torrin so he came over then we eavesdropped. Then we heard them saying that they hate ketchup! So we called the police and they arrested them. I was eavesdropping on a family next to me. I heard them saying, “we should go on a trip because I am super stressed.” “We should go on a trip John but, where exactly?” “We’re all going to Tokyo, Japan.” So the family left Singapore, and went all the way to Tokyo for about two whole weeks. They came back with sushi from Tokyo for everyone in the town, and they all thought it was delicious. Then the next day came and they went to Tokyo again for more sushi for everyone in the town. I never told the family what I heard. When we were talking about the restaurants bad food, and we were telling people that the food was really bad. The place was called The Dinosaur House. They are bad in are in my opinion. They are not listening to us. Then we go in and there was so much stuff. The menu was filled with amazing things they were expensive. Their food took a lot of time but the people were so nice then the food was amazing. They loved it. They misjudged the place. They gave a huge tip twenty dollars. Then they had all the way home and they were not hungry. How would your story read? It might have been a short week (only 3 days), but it was definitely busy! We have been waiting all year for this day. We finally got our recorders! Mrs. Turner even taught us “Hot Cross Buns” and Connor already earned his white belt! Hopefully by next week, we will all have a white belt. Aylana and Christina are eager to practice. Connor receives his first belt. Geometry was the focus for math this week. We learned about parallel and perpendicular lines, and obtuse, acute, and right angles. Anahi and Emily deciding how to organize their triangles. Destiny and Leslie dive right in to create a flower. Christina and Sophiah decided it looked more like a crane. Dominic, Peyton, and Connor are hard at work creating original flowers. It was brief, but we had a webinar with OdySea Aquarium. Our connection wasn’t too great, but we did get to see an Armadillo and a few penguins! We celebrated our new Student of the Month at the Flag Ceremony. Congratulations Dominic! We had not one, but two Socratic Seminars this week! Topics of discussion, should kids be allowed screens in their bedrooms and should people keep exotic animals as pets. We used evidence from the text to support our opinions. We are really working on honing our speaking and listening skills. Most of us are really strong with one, but still need practice with the other. The Global Kindness Project is starting early this year. We decided to continue using our kindness log we started during #GKP17. We will continue using it through the end of the year! Mrs. Moore also read Each Kindness by Jacqueline Woodson. It really was a special book with an unforgettable message. What great accomplishments to you have this week?